• Provide recognition for all of your staff. Remember – your employees have helped you get there! •Enter your clients and ask them to support you, everyone likes to help! •Ensure that your application is clear and concise. •What have you done new in 2017/18? •What do your customers say? •Don’t forget to showcase your business. Be proud of what you have achieved! Categories Which should you enter? •Can you meet all the criteria? •Can you provide enough evidence from 2017/2018 to support the criteria? 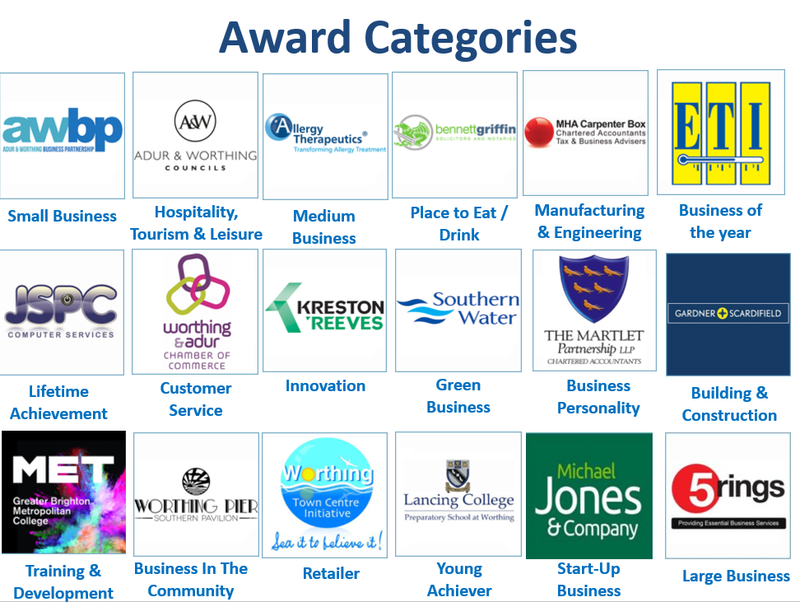 “We are participating in the Adur and Worthing Business Awards and if you would like to support us. Please go to the link below to enter your nomination https://awbawards.com/nomination-form/ Thank you, If you choose to enter let us know and we can support you too.